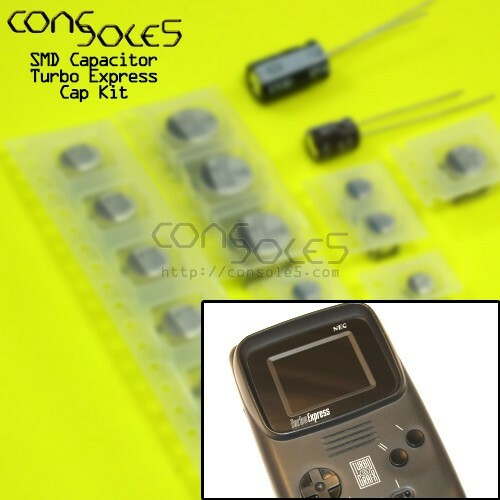 This kit contains all parts necessary to replace the SMD and leaded electrolytic capacitors in the NEC Turbo Express and PC Engine GT. NOTE: SMD capacitors require appropriate rework tools for easy installation. If using a soldering iron, it helps to cut the plastic spacer off of the new caps.